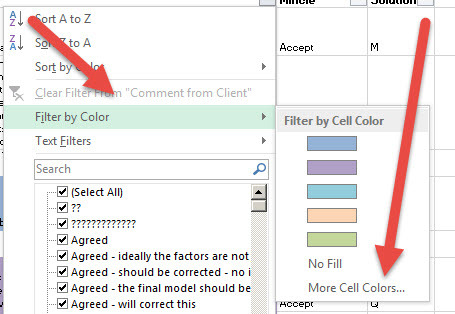 In the more recent versions of Excel it is possible to filter based on the colour of the cell or font. However it may appear that the filter by color in Excel is not showing all the colors. 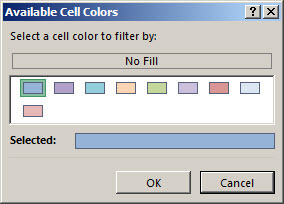 As shown below if you filter by color it shows 5 colors but perhaps you have more colors in the list. You can click on the ‘More Cell Colors’ button to access the additional colors. When you do this the following will appear which will show all the colors. You can now choose which color to filter on.